A good friend of mine sent me this from his trip to NYCC. I seriously don’t have words for how happy this makes me. It’s wonderful to see organizations and events taking active steps to create safe places for all people. 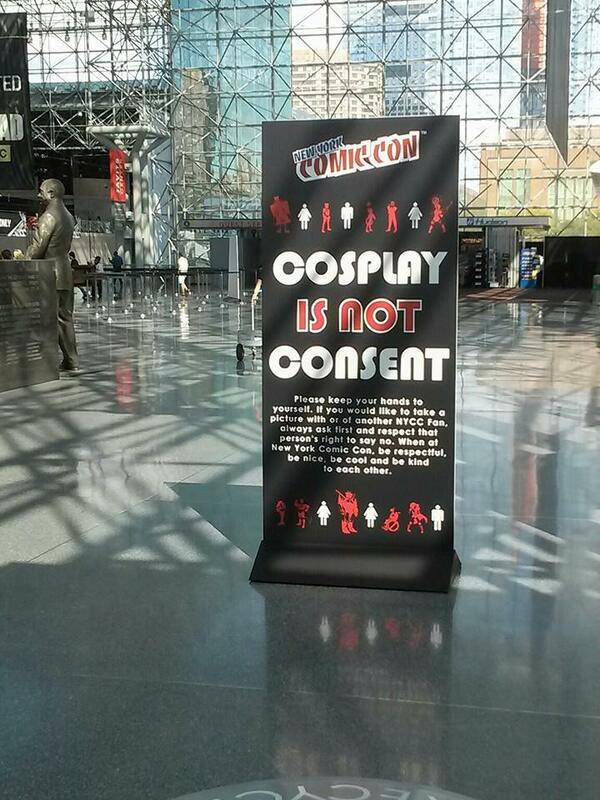 Signs like this create a culture that values consent and that benefits everyone.